"The Kraken" is one of Freeside's 3D printers, designed and built by a former member. It is the light blue printer sitting off to the side on most photos of our 3D printing zone - sadly, the machine has never printed quite right and it's been down for repairs more often than it's been usable. It's design had some major flaws, particularly in the frame that was fairly unstable. When it did print it would make great looking parts, but the bed leveling was fickle and imprecise. With the AO-100 and more recently the Mini, there wasn't a lot of reason for our members to use it. So I decided to rectify that and rebuild it completely from the ground up into a RepRap "Wilson", a popular design reworked from the Prusa i3. 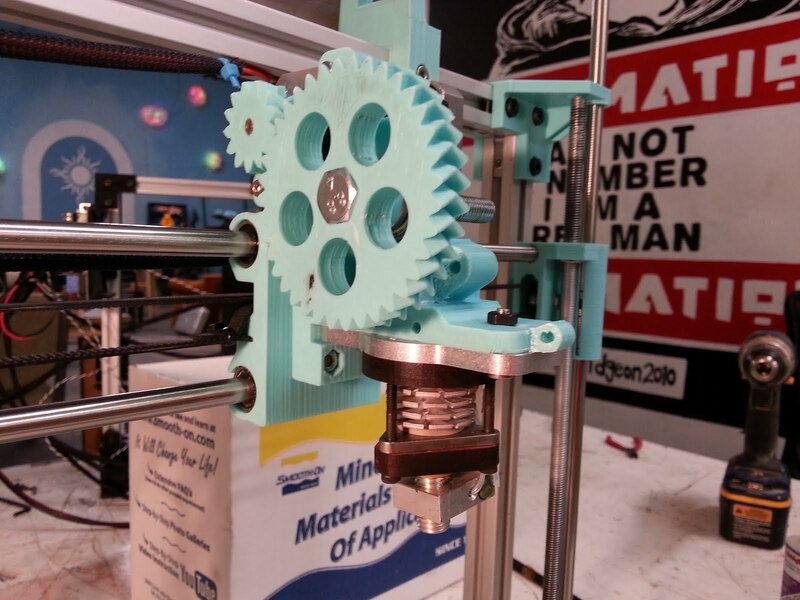 I chose this particular build because there are a lot of information available and a great set of info and instructions on both the RepRap wiki page about it, and the github page for the parts. 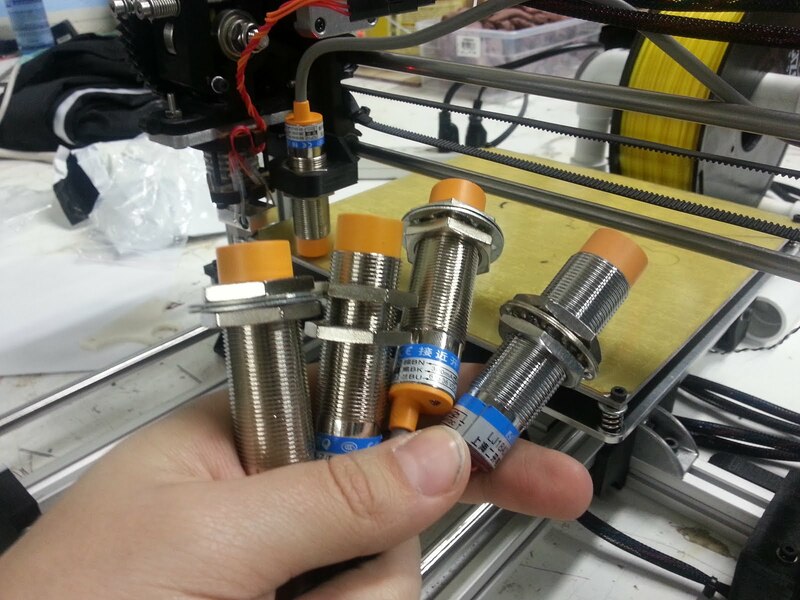 It's a well known RepRap and has been tried and true by a lot of people. The other reason I chose it was because I could build the Wilson utilizing 100% of parts salvaged from the old Kraken. The goal for the rebuild was to recycle every nut and bolt and try to keep the total cost as close to zero as possible. From start to finish, the rebuild took about 3 months working off and on a few hours a week. The initial tear down took a couple of hours at the end of November 2015, where everything was counted and bagged and boxed up. At that point I ordered some new ABS to print the frame parts, and a couple weeks printing things on both the Mini, and my personal 3D printers at home. 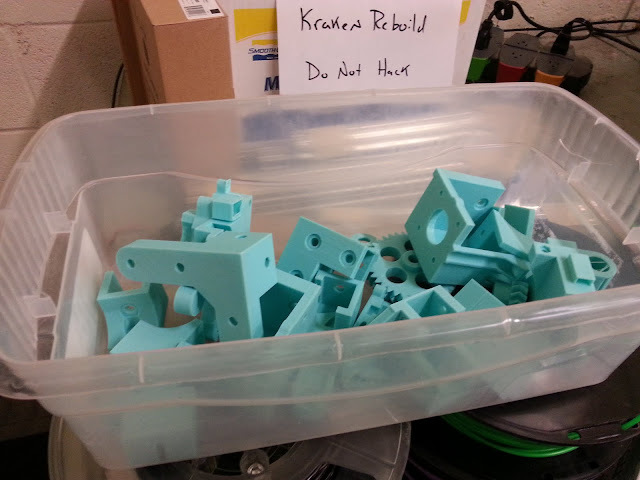 In trying to keep with the look of the old machine, I printed in "Sky Blue" ABS. The final product is actually really nice to look at! 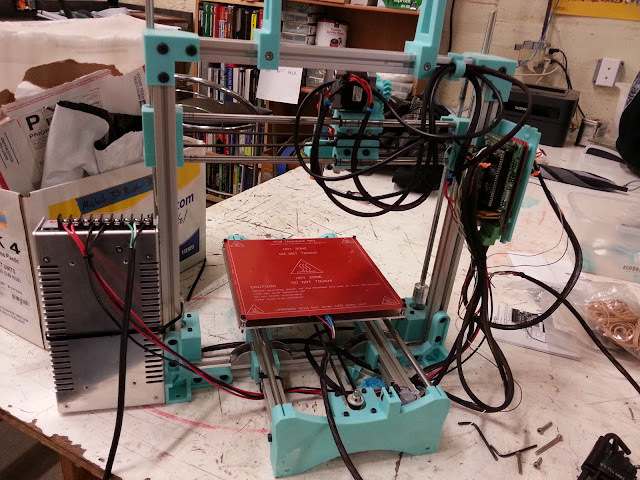 While I was in the process of building The Kraken, I decided to go ahead and build my own Wilson from parts from a failed RepRap build of my own last year. So in a lot of these photos you will see an identical looking black Wilson. For my own, I bought some "hidden" corner brackets to help with the structural rigidity of the machine, as well as some corner braces I had from my previous build attempt, and used the spares for The Kraken. I definitely recommend this for anyone building a Wilson as it greatly improves the strength of the frame. 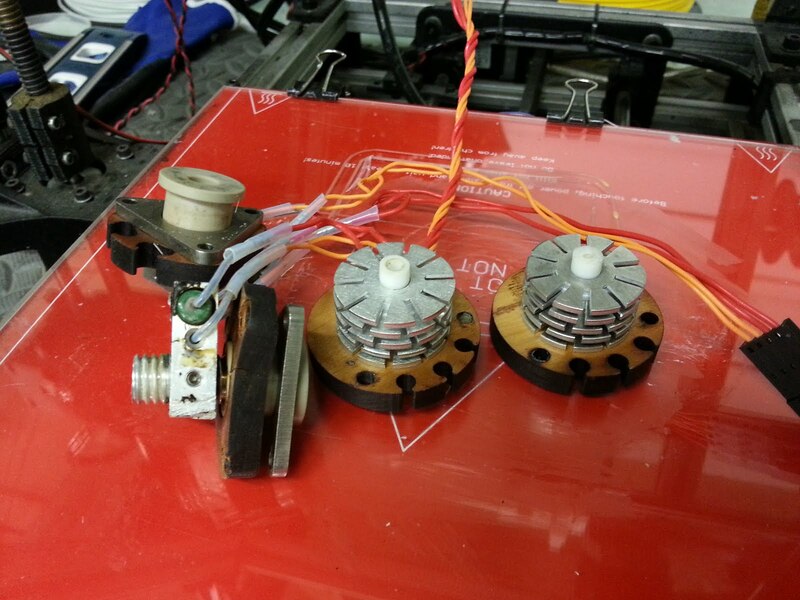 Some time ago, The Kraken's original J-Head hotend was replaced with a Budaschnozzle 2.0, since that is what we already have installed on our LulzBot AO-100, and having the same hotends allows us to keep fewer type of replacement parts on hand. We bought a replacement PTFE tube to convert it from 1.75mm to 3mm filament to be consistent with our other 2 printers - again, so we don't have to keep two types of filament on hand - and the nozzle was cleaned of old filament. It was left soaking in acetone overnight, then scrubbed with a fine wire brush. 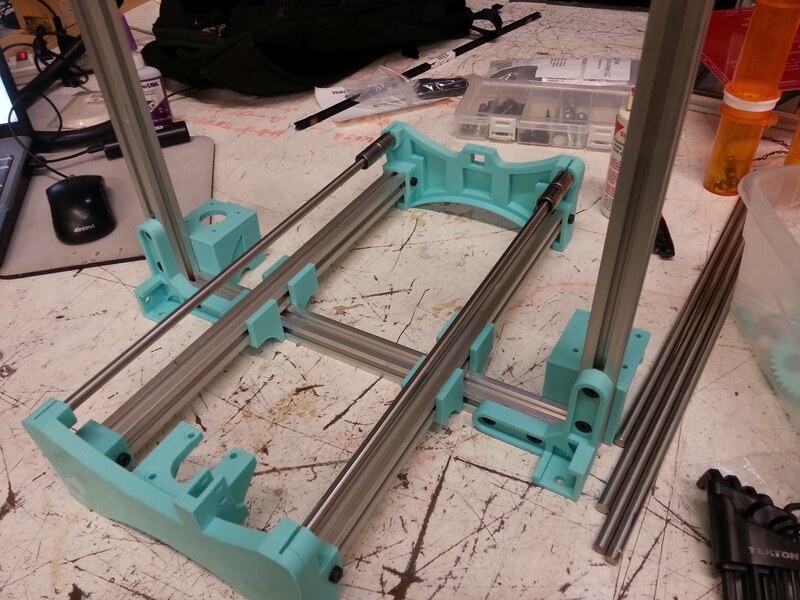 We bought a new aluminum Y carriage to replace the old acrylic one. 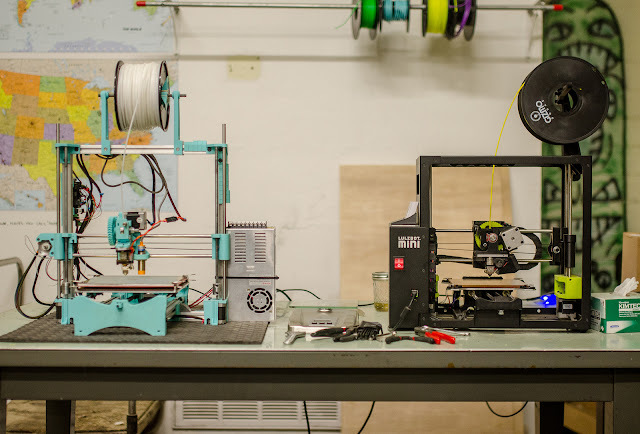 The aluminum carriage is lighter and more sturdy than acrylic, which has a tendency to flex and torque, so the new design will be able to print at much higher speeds than before. 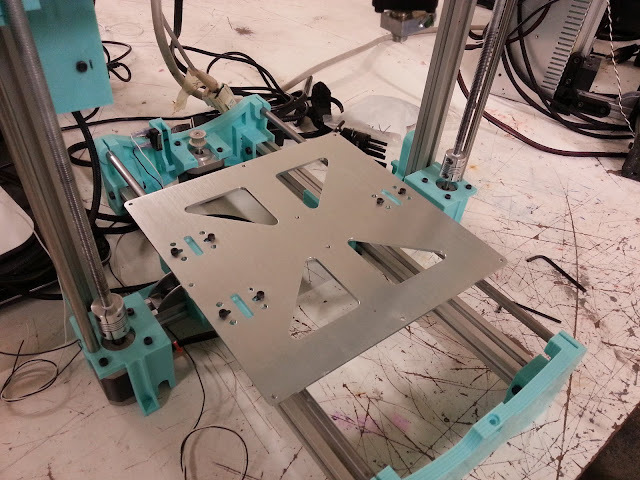 We kept the same heated bed, but replaced the glass print surface with an aluminum plate covered in PEI. 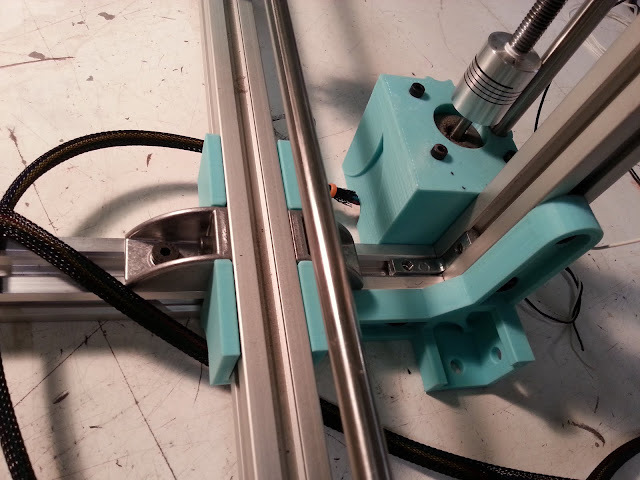 Aluminum is a good bed surface as it dissipates heat more evenly, but it also lets us install and use an inductive Z probe to auto bed tramming, a stand out feature of the Mini that I have since upgraded my own printers with. The RAMPS board had to be modified as it was missing the + voltage for the endstops, which the inductive sensor needed. Once that was added, the board was installed and the wiring was quick. I used some left over cable management from my previous 3D printer builds as well as my personal Wilson to help keep all of the stray wires in check, which the old Kraken suffered from. I also replaced the old server PSU with a more common project PSU found in Freeside's obtanium. The machine was upgraded to the latest version of Marlin and configured to use the auto bed tramming feature. There is still some fine tuning in the firmware to be done, but overall the printer is running great. 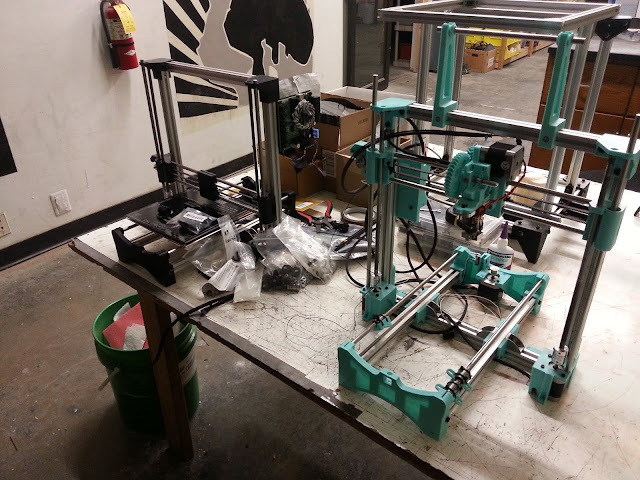 I'm really looking forward to seeing projects from our members come off of the machine!